ISLAMABAD: Former chief justice of Pakistan Justice (retd) Nasirul Mulk was sworn in on Friday as seventh caretaker prime minister of Pakistan hours after completion of the five-year term of the Pakistan Muslim League-Nawaz’s (PML-N) federal government. President Mamnoon Hussain administered the official oath ceremony held at the Presidency. The outgoing prime minister Shahid Khaqan Abbasi, services chiefs, top government officials, prominent figures and other dignitaries were present on the occasion. After assuming the charge, the first order that PM Mulk issued was to remove senior bureaucrat Fawad Hasan Fawad from the post of the ‘secretary to PM’ and to appoint the Cabinet Division secretary Mirza Suhail Aamir in his place. Fawad, rated as the most powerful bureaucrat in the PML-N government, has now been posted as the director general of Lahore’s Civil Services Academy – a position regarded as ‘khudda line’ [sidelined post] in civil bureaucracy. Mirza Suhail Aamir, the new secretary to PM, has previously performed duties as secretary Religious Affairs, and secretary Overseas Pakistanis and Human Resource in the PML-N government. Nasirul Mulk will stay in the office for two months and quit the charge as soon as an elected PM is sworn into the office after the general election scheduled for July 25. The caretaker premier is expected to finalise his cabinet soon by picking candidates of his choice for relevant ministerial portfolios. Later, the caretaker PM received Guard of Honour from the armed forces at the PM Office. “Mark my words, the general elections will be held on time,” Mulk said in a brief and informal conversation with journalists after assuming charge. He said free and fair polls would be the top priority of the caretaker government. “We will perform our responsibilities with utmost diligence for which we are here.” The caretaker PM said his preference would be to set up a small-sized cabinet. Mulk hails from Swat district of Khyber Pakhtunkhwa and belongs to a renowned political family. He succeeded Tassaduq Jillani to become 22nd CJP from July 2014-August 2015. Prior to that, Mulk also served as acting chief election commissioner from November 2013 to July 2014. The interim PM also headed the judicial commission which probed alleged rigging in the 2013 general elections. Before joining superior judiciary, he served as president of the Peshawar High Court Bar Association (PHCBA) twice and also served as PHCBA general secretary. He also served as advocate general in Khyber Pakhtunkhwa. Mulk’s elevation as the caretaker premier took place in the wake of a consensus between former PM Abbasi and leader of the opposition in National Assembly Khursheed Shah earlier on Monday. His name was proposed by the PML-N and was finally agreed upon by the Pakistan Peoples Party (PPP) that was earlier pressing for its own candidates. The third major political party, the Pakistan Tehreek-e-Insaf (PTI) also supported Mulk’s candidature even though it did not propose his name. Of the three names proposed by the PML-N, the other two were former CJP Tassaduq Hussain Jillani and former State bank of Pakistan (SBP) governor Shamshad Akhtar. The PPP had proposed names of Zaka Ashraf, former foreign secretary Jalil Abbasi Jillani and his brother Salim Abbas Jillani. The PTI’s three nominees were Tassaduq Hussian Jillani, SBP former governor Dr Ishrat Hussain and industrialist Abdul Razak Dawood. Imran Khan’s party had, however, said it would support Mulk in case of his elevation as caretaker PM. Prior to Mulk’s selection, Tassaduq Jillani was rated as ‘hot favourite’ for caretaker premiership. Mulk, although regarded as a strong candidate for the interim PM slot, was considered as an ‘underdog’ compared to others. Reportedly, the PML-N leadership preferred Mulk over Tassaduq Jillani, due to the latter’s kinship with senior PPP leader and former PM Yousaf Raza Gillani. 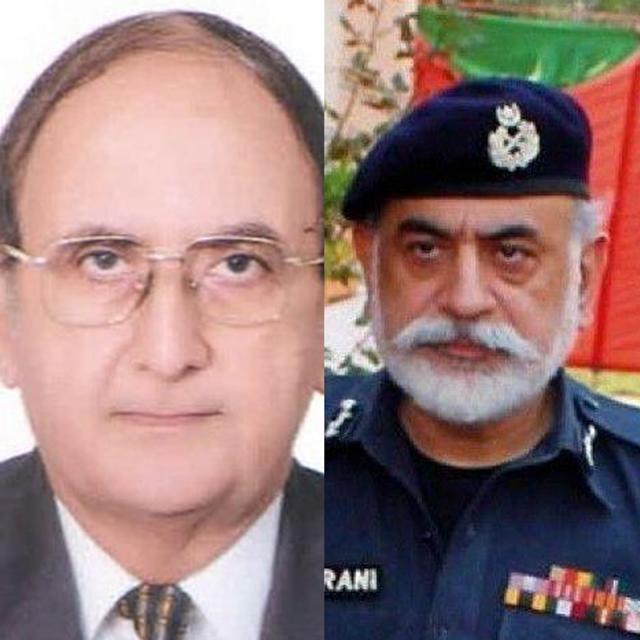 The names of other candidates reportedly reviewed for caretaker premiership included that of former CJPs – Mian Shakirullah Jan, Anwar Zaheer Jamali and Jawwad S Khawaja, Supreme Court former judge Nasir Aslam Zahid, Election Commission of Pakistan (ECP) former secretary Ishtiak Ahmad Khan and former caretaker PM Mir Hazar Khan Khoso. Khoso was appointed as caretaker PM by ECP in 2013 after government and opposition failed to finalise any candidate for caretaker premiership. The formal process between PM and leader of the opposition in NA started on April 11 following a meeting between Abbasi and Shah. Mulk has replaced Abbasi who officially left the PM Office Thursday midnight after holding the portfolio for 10 months. He was given a Guard of Honour by the armed forces on Friday to bid him farewell. 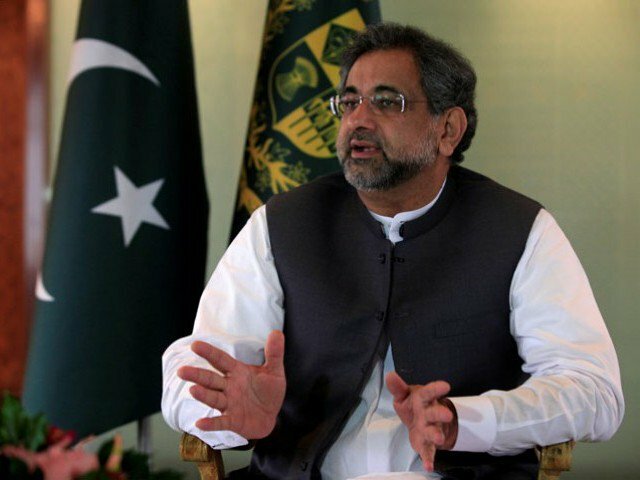 After becoming PM on August 1, 2017, following the disqualification of Nawaz Sharif by the Supreme Court in Panamagate case on July 28 last year, Abbasi had preferred his personal residence located in the sector F-7 of Islamabad instead of shifting to the PM House for residential purposes. Apart from removing Fawad and appointing Mirza in his place, the PM also ordered appointment of Inter-Provincial Coordination Secretary Abu Ahmad Akif as Cabinet Division secretary in place of Mirza. All the three officers – Amir, Akif and Fawad – belong to Pakistan Administrative Service (PAS), formerly known as District Management Group (DMG), and are working in basic pay scale (BPS) 22. Aamir was promoted to BPS-22 in October 2014 when Nawaz Sharif was the prime minister. Akif was promoted to BPS-22 also in Sharif’s tenure in February 2016 whereas Fawad was promoted to BPS-22 in December 2017 when Shahid Khaqan Abbasi was the premier. Some officials in the Establishment Division claimed that Fawad had himself moved a request to be transferred from the position of PM’s secretary before the end the PML-N government’s tenure. However, PM Abbasi had left it for the caretaker PM to make a decision. Sources said further reshuffle in top ranks of bureaucracy is also expected. In the past, several attempts were said to be made by different lobbies in bureaucracy to have Fawad removed from his post due to controversies attached to his stint as secretary to PM but these moves failed as Fawad was known as the ‘most reliable aide’ of Sharif. Recently, Fawad had issued a notification which brought embarrassment to the federal government. He had notified honorarium equivalent to three-month basic pay for ‘all federal government employees’, on behalf of PM Abbasi. However, the Finance Ministry declared this decision as impracticable and the last cabinet meeting held under Abbasi on Thursday reversed it. The cabinet approved grant of honorarium only to the employees of ministries and departments involved in the preparation of federal budget 2018. Fawad is also facing probe launched by the National Accountability Bureau (NAB) in connection with his alleged role in Ashiana Housing Scheme scam, a project of former Punjab government. Some reports suggested that he was scheduled to appear before NAB on Friday.